Are you someone who is good with numbers, loves interacting with new people and is interested in possibly pursuing a new career? Then we have good news for you! Applications are now open for the H&R Block popular Income Tax Course. The 16-week course is led by skilled H&R Block instructors and runs through everything you need to know to successfully complete a tax return, from deductions to offsets to capital gains. 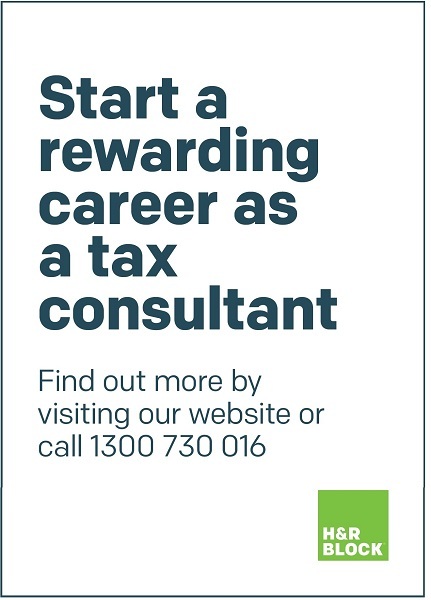 After finishing the course, students will be all set to complete tax returns for themselves and for family and friends – and those who finish at the top of the class will have the option of being considered for a career as a professional H&R Block tax specialist.